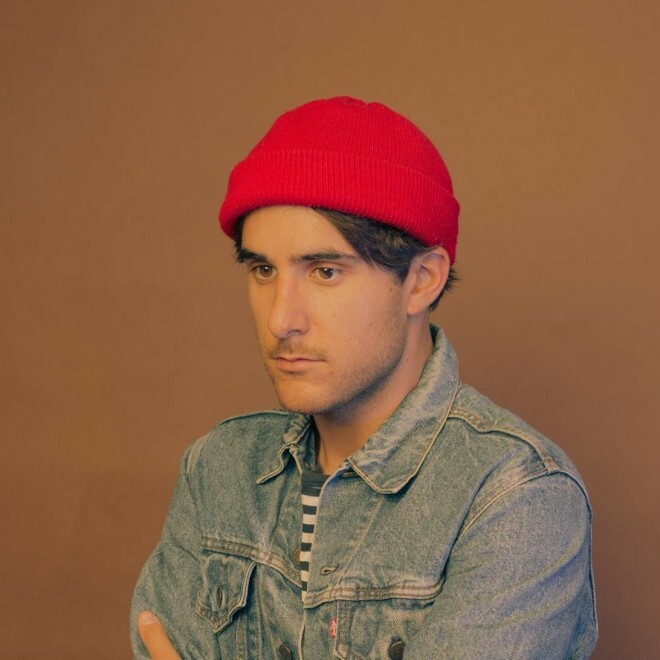 Zac Farro may still be known by many as the original drummer for Paramore, but in the years since his split with the band he has built a project of his own: Halfnoise. Farro is fresh off releasing Sudden Feeling, his sophomore album under that moniker. We had the chance to chat with Zac about his upbeat philosophy on music and life, his time spent living in New Zealand and the fact that he wasn’t sure if he ever wanted to be a musician again after leaving his teenage band. When Halfnoise t was first announced, nobody knew what to expect. What did you have in mind when you started the project? How has it changed over the years? 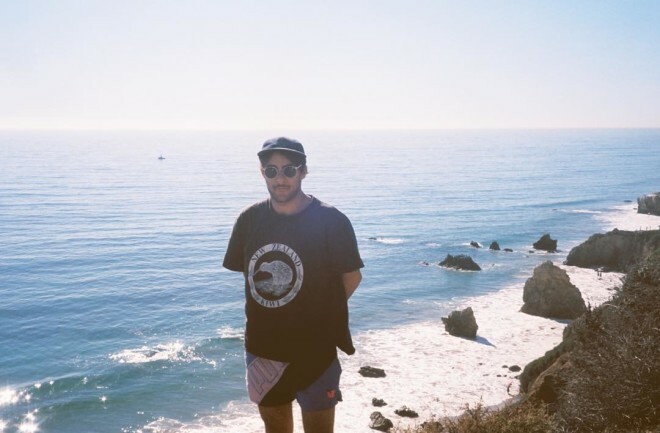 Zac Farro: Oh, man, it’s changed tremendously over the years. Honestly, it started as, well I was touring with this band Paramore from the time I was 13 and I just wanted to not be gone so much. I was writing on the road, building songs. I didn’t think anything of it. I didn’t leave that band to start my own endeavors. That wasn’t the plan. I just always wrote music and did it for my own piece of mind and as an outlet for myself. My roommate and I we started Tunnel. We just wrote a song together and put it out for fun. Tunnel was already a band and I didn’t realize the attention the project would get from me being in Paramore. I know that sounds kind of naive and silly, but I didn’t really expect anything from it. MTV was like “Zac Farro’s new project just announced itself” but I was just trying to make a song with a friend. That was kind of where Halfnoise started. That song even made it to the first EP. My friend Dan in Nashville was trying to get into producing and said, “I want to work with a few bands so I can get comfortable with my production skills, can I record you?” I told him how I wasn’t ready for that, but it actually kind of made me set goals like finishing songs and goals. That was a huge help for me with this project. It was that stepping stone where I realized I was actually doing something. It was a huge help for me and it sparked my passion to create music and explore my own voice. I had always mainly added drums in Paramore, so to have a lot control with the ethos of the band and over every aspect was very intimidating but also very freeing at the same time. Fast forward and I lived in New Zealand for a few years where I really discovered I had a passion for this project. A year ago I was recording Sudden Feeling and if you told my 20-year-old self that in six years I was going to be in a band touring around, I would have been like no way. To be where we are now, and where I am now as a musician, to have such a great team around me helping me with my passion and with Halfnoise, I would never have thought this would happen. It’s such a rad thing. I honestly didn’t know if I was going to stay in music. ZF: Yeah, I just didn’t really know. When you start something at such a young age, I mean every teenage year I lived was on the road — 13 to 20 — and even before that we played around so really since I was 11. By the end of it I just didn’t know if I wanted to do music. When we had interviews early on people would say to me how I wanted to be a musician since I was little and I would have to say, no I was a musician since I was little. When kids are dreaming of being a policeman or fireman and stuff I was already playing music. I was nine when I got my first drum lesson and the rest just kind of happened. I had a passion for music, but I didn’t think it would be my occupation. I’m so thankful for Paramore and Halfnoise and where it’s taken me, but it was all a whirlwind that I didn’t expect. You mentioned New Zealand. What made you move down there? ZF: When I was 14, Paramore did Warped Tour and I met this guy who has become a lifelong friend and he is a Kiwi and every year he would come back for Warped Tour. We met in 2004 and kept saying how I had to go to New Zealand. Even when Paramore went to New Zealand, I didn’t get to see it. He offered for me to come stay with his family for a month, but I told him how I left a band so I didn’t have to travel. Eventually I just did it. I thought I could use a retreat from working so hard. I fell in love with the place. I fell in love with the scenery and the people and I just felt so inspired. I would go there during summer and then come back for our summer, so I would just summer hop for three years. It really changed my life. I’m one of five kids in a family and I was one of five people in a band, but I was able to step out and find myself. I really grew as an individual and it only took me going halfway around the world to do it. It was super helpful. That’s why I have the confidence in my music and in myself. The confidence I have can be attributed to that time I spent in New Zealand. I know Volcano Crowe was influenced by your time living there, but let’s jump to Sudden Feeling. What really influenced you on this album? Did you record in Nashville or in Los Angeles? ZF: It was a bit of both, actually. I started writing in Nashville, then I flew to L.A. to record with a few buds and we wrote the second track on the album called “Leaving.” When I came back home I had this vision of the album. I had a couple of songs in the works. There as a vision I had for the album with a drum machine, percussion, synths. I had these elements swirling in my head like Beatles-like bass lines. All of these things to take note of and when I went back to L.A. we finessed recording it. The album was a culmination of things. I wrote and recorded Volcano Crowe in New Zealand, but the experience I had I took home and I was living it like that. I was getting into the Beatles for the first time, same with Talking Heads. I was just diving into what I am into now for the first time. I always looked forward with music, but I started looking back to the origins and influences of modern bands. As an artist you should always keep searching and always keep discovering. The album is really fun. It captures a feeling that a lot of albums miss out on. One of the cool things that my roommate said was, “You know when I listen to this album I feel like I’m just hanging out with you.” Those are the biggest type of compliments. I don’t claim to be the best musician of all time or the greatest lyricist. But what I want to do is make people laugh and make people happy. There are serious undertones of the songs, but even on stage I like making jokes and bringing the energy up. I want to break that wall of “I’m on stage, you’re down there.” Like, we’re all the same: on our iPhones. But I want to break that wall down and make it fun. The album reflects that. Even when I’m singing about a break up, I want the music to feel energetic and upbeat. You’ve been touring heavily since 13 and obviously your last band got pretty big playing in arenas or big theaters. How does this tour compare? ZF: Everything is different. It’s the difference from going… (laughs) Everything is different. You pull in with a tour bus and enter through the back, but now I pull up in a van and pull up to the front doors. You’re stuck with everybody in the best way. You can’t really hide anymore and you’re out with the people. Which is different with the level of Paramore where we would just get nailed after a show. But now it’s like 30 people and I treat it like we’re all at a bar having drinks. I look at it like they’re all my friends because [band’s] can act too cool for school, but that’s not how I am. [On the first night of tour] I brought an acoustic guitar and these girls brought this care package with food from New Orleans and a guy was playing guitar and I was shaking a rice package. That stuff just doesn’t happen when you’re playing big shows. I never got that and it’s where the stories happen. Well, I would be a terrible writer if I didn’t ask about Paramore. From what I read you’re just helping out recording drums. Is that still the official situation? ZF: Yeah, I’ve tried to be pretty clear about it because a ton of people ask. It was a conversation we had when I first walked in to record. They’re still some of my best friends. When I first moved back to Nashville, Taylor [York] and I reconnected and he even played some little shows with Halfnoise. Talk about a major difference. I had years of a buffer and he just jumped right in. Honestly, it just felt like a natural progression to play. I got to the studio and said I would play on the album and I had Sudden Feeling coming out, but it didn’t interfere. We weren’t sure if we should disclose it, but we figured we should just take photos like any other friends hanging out. So yeah, I got to play on their album and it’s really great to do that as well as be able to tour on the road with my own stuff. It’s the best of both worlds. 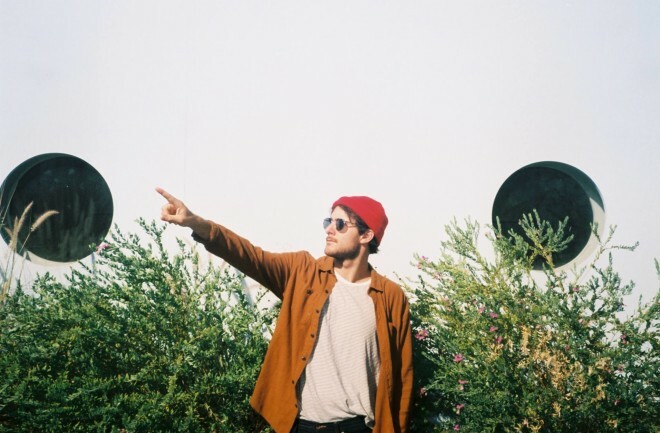 Halfnoise’s Sudden Feeling is out now. Stream it here.